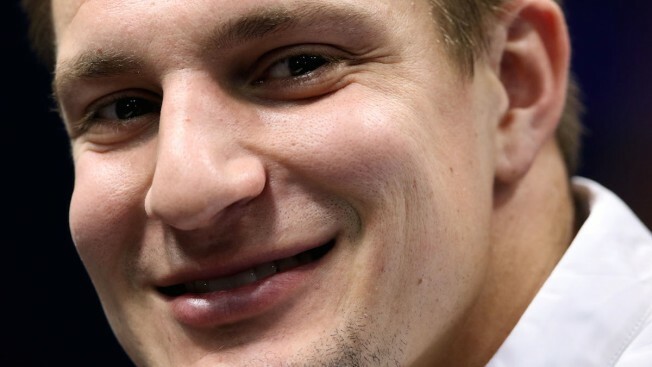 New England Patriots tight end Rob Gronkowski has won The Associated Press NFL Comeback Player Of The Year award for 2014. Gronkowski easily outdistanced seven others receiving votes from a nationwide panel of 50 media members who regularly cover the league. The unanimous All-Pro received 27 selections, followed by Philadelphia receiver Jeremy Maclin and Dallas linebacker Rolando McClain with seven apiece. Denver cornerback Chris Harris Jr. had three votes, while running backs Justin Forsett of Baltimore and Arian Foster of Houston drew two. Arizona linebacker Larry Foote and Buffalo quarterback Kyle Orton each got one. Gronkowski was limited to seven games in 2013 because of knee problems. He returned in style - that style being powerful, aggressive and tough - to make 82 catches for 1,124 yards and 12 touchdowns. The award was presented at the "NFL Honors" show Saturday night.